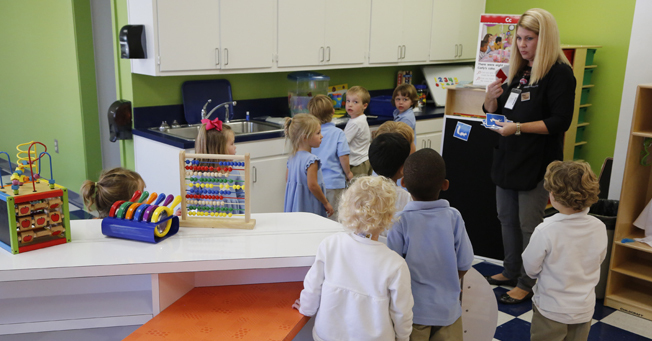 The Preschool early childhood development learning lab for K3 is now in use. The state-of-the-art S.M.A.R.T. 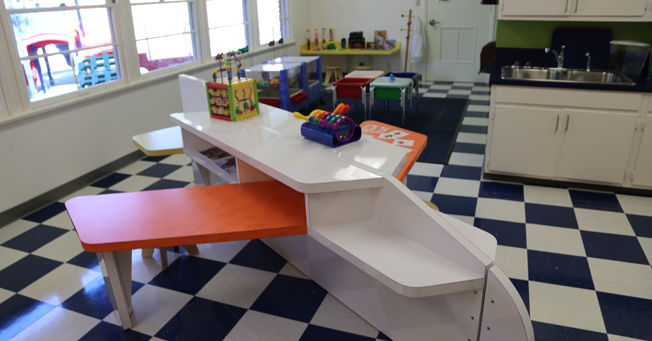 Kids Lab incorporates sensory-motor science, manipulative-based math, applied art, reading readiness, and technology time. With its airplane-shaped table and clouds suspended from the ceiling, the lab is a vibrant location for students to engage in hands-on learning. The interview below with Holly Collums, K3 teacher, gives insight into the development of the S.M.A.R.T. Kids lab. 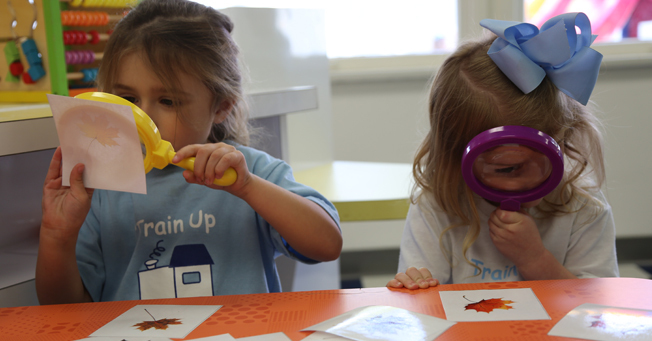 For the past 10 years, the motto of our K3 program has been “Playing is learning, and learning is playing.” A three-year-old child is a natural explorer and instinctively uses his or her five senses to understand and learn things about our world. So as K3 teachers, we capitalize on that instinct and use it as our most effective teaching tool. The new S.M.A.R.T Lab is an exciting and innovative way to help students explore through the use of technology and experimentation. What do the letters in S.M.A.R.T. represent? S.M.A.R.T. is an acronym that stands for Sensory-motor Science, Manipulative-based Math, Applied Art, Reading Readiness, and Technology Time. In one of their first lab lessons, the students were excited about making clouds. How did they do this? Each week, we focus on one letter of the alphabet in all that we do–our art projects, our songs, our math and reading exercises, and even our science experiments. During letter “C” week, the students helped their teachers make clouds by microwaving Ivory soap shavings. The soap expands and becomes fluffy like little clouds. What do they learn from this exercise? 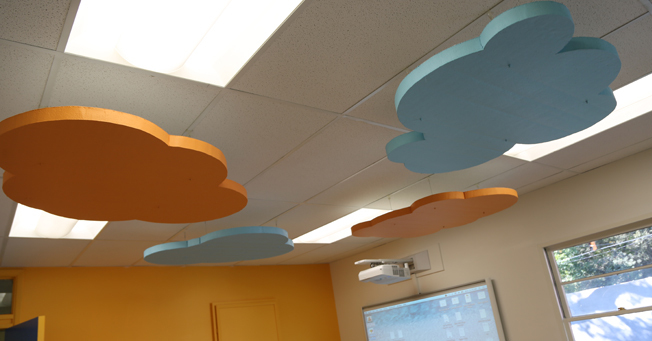 We preceded the experiment with a SMART Board® tutorial about the three basic types of clouds, and how clouds can appear in the shape of all sorts of objects. By participating in the experiment, students learned about the transformation of a substance (in this case, the soap) into another form by simply heating it. Students then observed as the soap clouds were placed in water and floated on the surface. After students learned that clouds were made of vapors that form ice particles, which then melt into rain, the experiment continued by dropping blue food coloring in the water to imitate rain from the clouds. What are examples of other exercises in the S.M.A.R.T. Kids Lab? There will be exercises, experiments, and activities each week of the school year to go along with the letter of the alphabet we are studying. For example, during letter “D” week there will be a Dinosaur Dig where students become paleontologists as they unearth fossils in sand. During letter “F” week we will examine Fingerprints under a microscope. The main goal of the S.M.A.R.T. Lab is to make everything relevant for the students while allowing them to have fun. What are the learning objectives of these exercises? 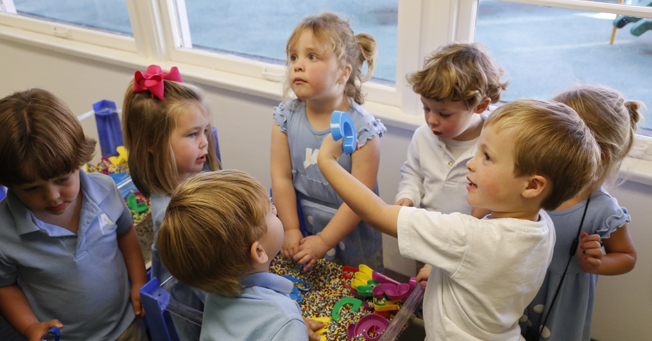 All of our activities and exercises are based on the developmental stage of the children. Research advocates that young children who learn using multiple senses simultaneously internalize the lessons on a deeper and more meaningful level. Activities planned in the S.M.A.R.T. 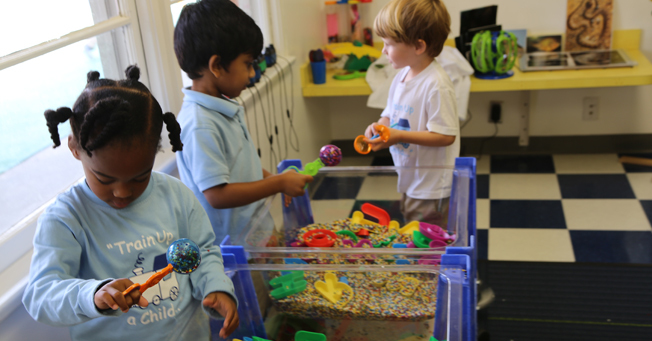 Lab will focus on a wide cross-section of skills such as fine and gross motor, prediction and reasoning, and critical thinking. How does this lead in to STEM education? 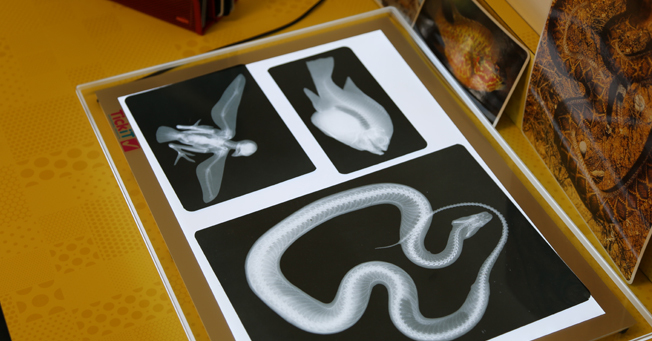 The K3 teachers conceived the concept, vision, and curriculum for the S.M.A.R.T. Lab, making Jackson Academy’s program the first of its kind. The concept was inspired by the success of the STEM program in the Lower and Middle School divisions because of the hands-on learning that this type of education provides. By introducing this approach early, children will develop the confidence and reasoning skills to become life-long experimental learners. Does this lab focus exclusively on K3? Yes, this is exclusively a Jackson Academy K3 program. 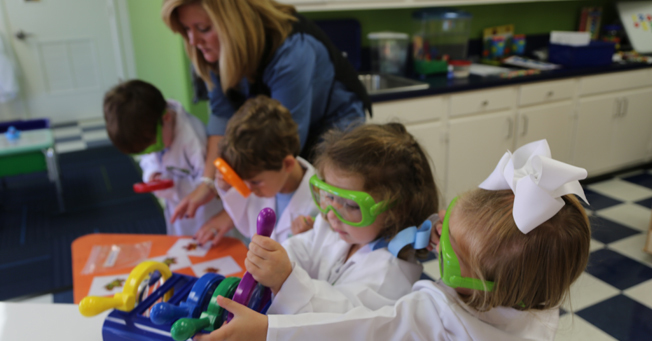 Our state-of-the-art lab and all of its equipment and supplies are made specifically for the tiny hands of JA’s youngest students. How are teachers incorporating this into the school day or school week? Each of the four K3 classes rotates the use of the S.M.A.R.T. Lab each weekday in such a way that each class gets to visit the lab twice a week. S.M.A.R.T. time fits naturally into our existing schedule and is treated much like a special subject, such as music, library, or Mind and Motion. The teachers have already seen how the activities in the S.M.A.R.T. Lab have made an impact on their regular curriculum by inspiring group discussions and critical thinking within the classroom setting. In just a few short weeks, time in the S.M.A.R.T. Lab has become the thing that the students look forward to the most. 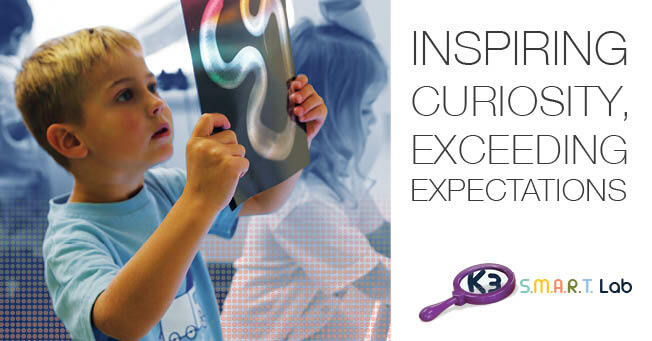 The K3 lab was made possible through gifts made to the JA Annual Fund. Each school year parents, trustees, teachers, alumni, grandparents, and friends make gifts totaling more than $325,000 for academic programs like the K3 lab and campus enhancements. So far, this school year more than $170,000 has been committed. To learn more about the JA Annual Fund and how you can make a tax deductible contribution, follow this link: jacksonacademy.org/give. JA is truly appreciative of those who give so generously.